One of my most popular recipes, Pao de Queijo (Brazilian Cheese Bread), gets a makeover. This version is easier and made in the blender! Because sometimes you just need a quick cheesy snack. If you are familiar with my recipe for Authentic Brazilian Cheese Bread, you know that it can be a labor of love! 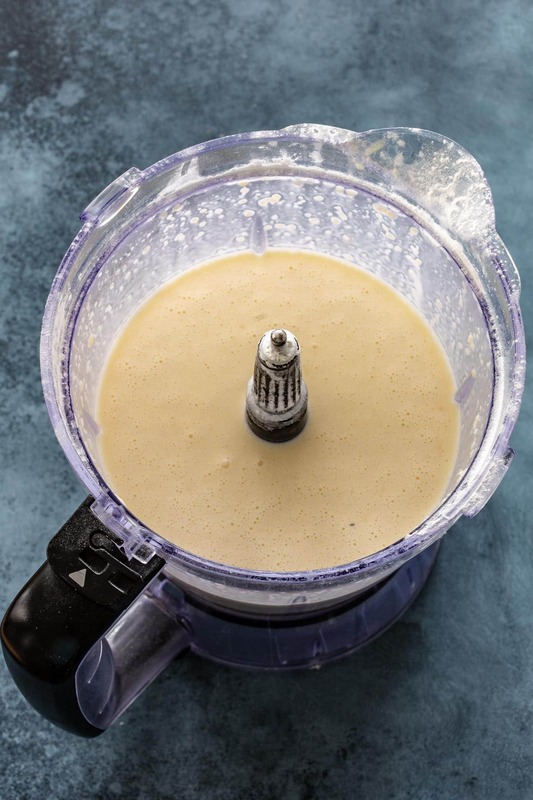 You either have to use your muscles or a powerful stand mixer, and getting it to the right consistency (so you can form balls) can be tricky. And while I still prefer the flavor and texture from that version, I felt like I needed to have an easier variation in my repertoire. It is made in the blender, no stove needed, and baked in muffin tins; so you don’t have to worry about getting the dough right. If, to you, that’s a good compromise, then this version is for you! If you don’t mind getting your hands dirty and you own a stand mixer (or really strong biceps), then head over to my original recipe for a chewier and cheesier pao de queijo. Don’t get me wrong, I’m not saying this cheese bread is not delicious! 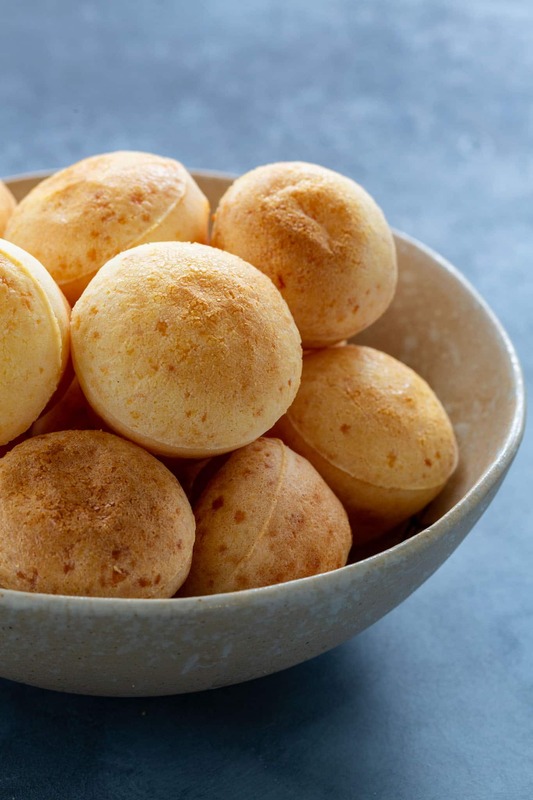 It’s just as good as my other version and chances are that, if you are not Brazilian (and as obsessed with pao de queijo as I am), you won’t notice the difference. In fact, they are so tasty that you will get tempted to eat the whole batch by yourself. And nothing beats being able to have these in your mouth in less than 20 minutes! 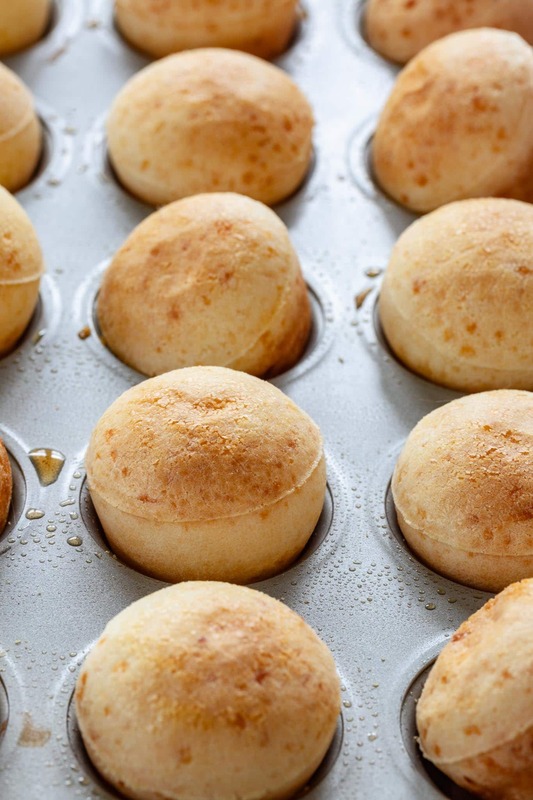 If you have never tried pao de queijo before, you might get confused by how gooey and dense they are. I get a lot of emails from readers, after they make my first recipe, asking if I think they undercooked their cheese bread! But don’t worry. They are supposed to be just like that and that’s what makes them so good. But don’t confuse chewy/gooey with rubbery. They shouldn’t be rubbery at all, especially when they are fresh. This recipe is as easy as combining ingredients in a blender and pulsing until smooth. Tapioca flour, milk, oil, eggs, Parmesan cheese and salt are all you need! You can, of course, substitute the cheese to whatever kind fancies your boat. In Brazil we use queijo meia cura, which is a partially cured cheese made from raw milk, very popular in Minas Gerais. Here I opted for parmesan cheese, which is the next popular choice in Brazil when queijo meia cura can’t be found. My non-blender version uses a combination of parmesan and mozzarella, which would also work here. If you are familiar with my other recipe, and its fondant like dough, you might get confused when you see that the batter is very liquidy. That is normal! Because of that, instead of forming balls, we pour the batter into muffin tins. Easy peasy! Pao de Queijo is best consumed fresh out of the oven. That being said, if you end up with leftovers, make sure they cool completely before storing them in an paper or ziplock bag. The next day, they will inevitably get rubbery. A good hack is to spray a little water on them and re-heat for about 5 minutes in a 400 degrees F oven. Can I freeze Brazilian cheese bread? While my other version can be frozen before baking, this recipe can’t. You will need to bake them, wait for them to cool and then freeze. When ready to eat, no need to thaw. Just preheat the oven to 400 degrees F and reheat for 5 minutes. If you love Brazilian cheese bread, but never tried making your own due to being intimidated by the recipe, I strongly suggest you give this a try! 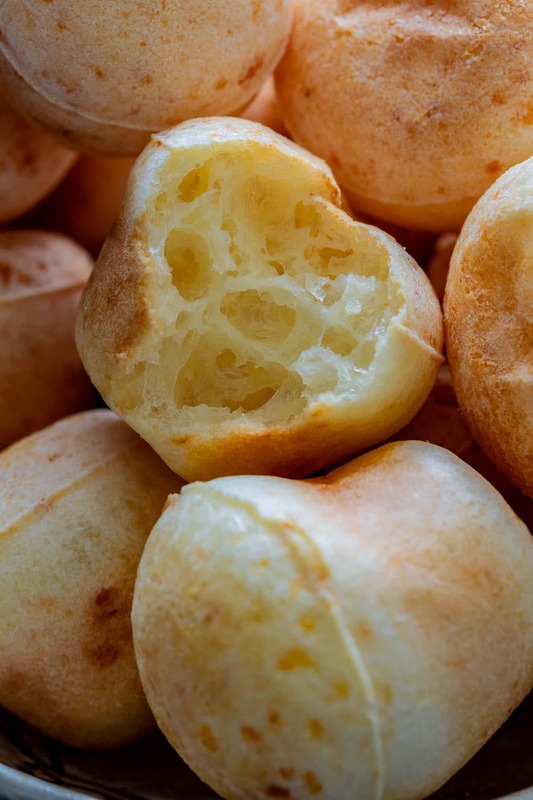 Freshly baked pão de queijo is truly a special treat, especially when they are homemade! Combine all the ingredients in the jar of a blender and pulse until smooth. 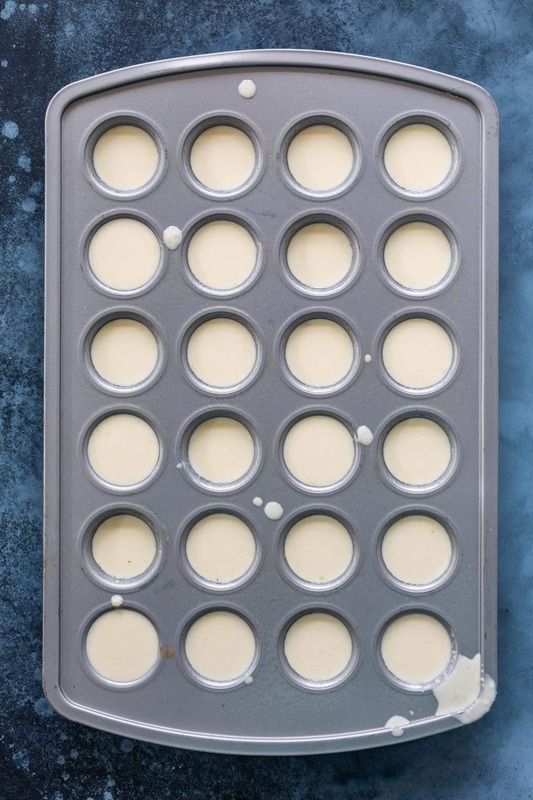 Pour the batter into two mini muffin tins (or one big tin), lightly greased or sprayed with cooking spray. Bake for 15-20 minutes or until puffed and golden brown. Let them cool slightly and serve warm. Read the blog post for tips on how to store, reheat and freeze.